"Guest Steven Graff brought an agile, rapidfire, imaginative edge to the piano, notably his own improvised cadenzas, which were as bitingly entertaining as they were anachronistic, taking the piece two hundred years into the future. Yet these made a perfect fit with the music." "Graff's playing has two strong points contributing to the success of this recital: He is a superb technician, most notable for his supple rhythmic control and tonal shading, and he completely inhabits the spirit of the composer. What more can a new-music aficionado ask for? For that matter, what more can any music lover ask for?" "In this recital of wall-to-wall premiere recordings, Graff plays Carbon with a comfortable authority, easily equal to the virtuosity of the Sonata, but with the experience and expressiveness necessary to communicate the timbral and textural nuances of the Spanish Lessons." "Graff plays...with passion and no little flair. He has a fluid, natural sense of rhythm..."
"With his classical purity and earnestness, Steven Graff suggested a young Wilhelm Backhaus. There is no higher accolade." "Exciting...great technical skill and broad musical understanding." "Technically above reproach...fascinating pedal effects, genuine sensitivity." 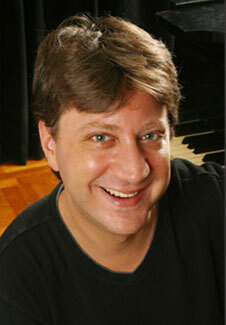 "Steven Graff is undoubtedly one of the finest musical talents our village has produced." "Steven Graff of New York City is molding future musicians at the Pennsylvania Academy of Music." "Mr. Graff unquestionably has the virtuosity to cope with the difficulties asked of him by the music...(he) is a strong advocate of this literature and his playing served it up with excitement and authority." "...the refreshing sensuality of this impressionistic piece was a delight to the ear and the lush broad strokes of Graff's graceful phrasing was an equal pleasure to the eye."